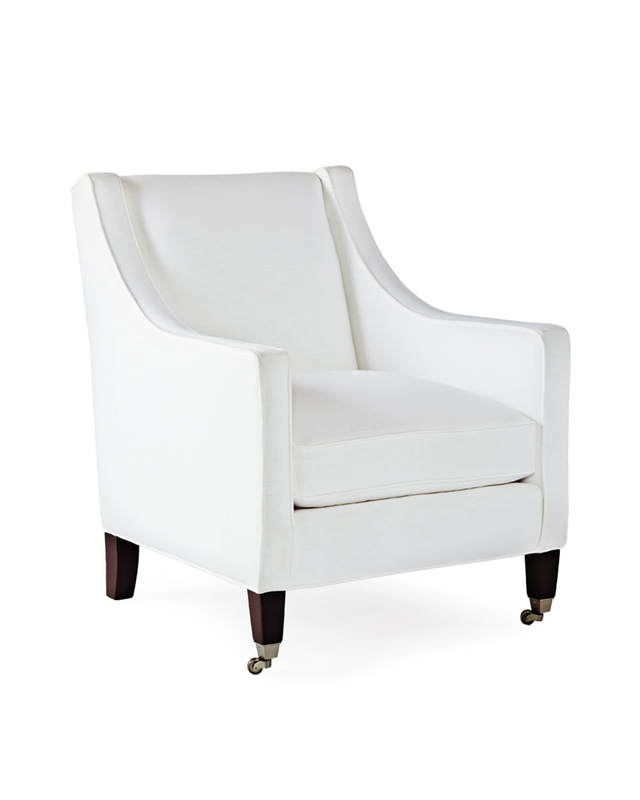 Piper ChairPiper Chair, alt="Piper Chair, "
Print This is a chair with the kind of timeless flair that looks good anywhere. 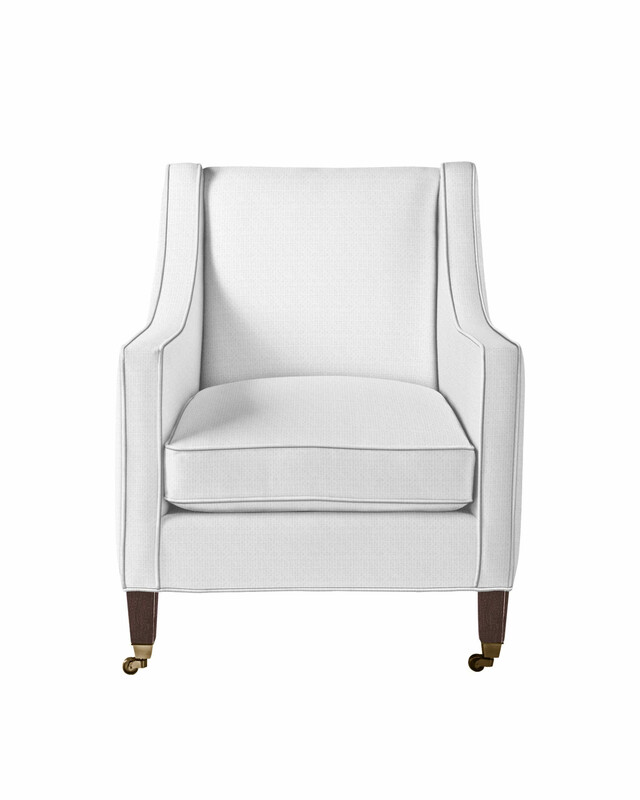 The sloping arms and deep seats shelter you in comfort, the squared-off silhouette brings a touch of tailored chic. Try it in a room with softer, rounder lines to create interesting contrast. Kiln-dried solid maple frame for lasting durability. Seat cushions made of fiber- and down-wrapped, soy-based foam covered in pure cotton ticking for cozy comfort. Front casters with Brushed Nickel or Brass finish. 31"W x 36"D x 36"H overall.